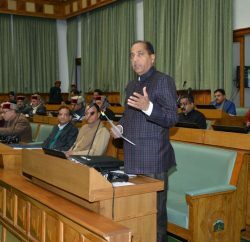 A day after, congress cabinet ministers’ advised the former chief minister Prem Kumar Dhumal to verify details about Annual Plan size. 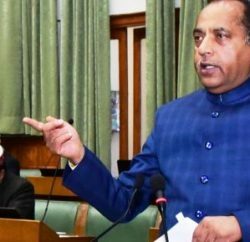 State BJP president Satpal Singh Satti has advised cabinet ministers Mukesh Agnihotri and Parkash Chaudhary to verify their facts while issuing the statement on the Plan Assistance in the Annual Plan 2013-14. Satti blamed both cabinet ministers for trying to hide the failures of the Govt by giving wrong information. He said that he is thankful to the Ministers to admit that the Special Plan Assistance was also reduced by the congress led UPA Govt in the Center in March, 2013 during the congress rule in the state. 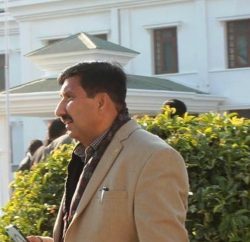 He said that this shows that the Chief Minister does not have good relations with the high command in the center for which the people of the state are being punished. The Special Plan Assistance was never reduced by the Planning Commission till December, 2012 during the tenure of the BJP Govt. Satti said that total Central Assistance including NCA, ACA, SPA, SCA after repayment of advance SPA was 3858.72 Cr during 2012-13 and not 2790 Cr as mentioned in the press statement. The Central assistance was more than the size of the Annual Plan of Rs 3700 Cr. It was record achievement of the BJP Govt in the history of the state when the central assistance was more than the Plan size in the state. The total central assistance has been reduced to 3815.43 Cr in 2013-14. The figure of 2851 Cr given in the statement is wrong. There is a reduction of Rs 43.29 Cr in the Central Assistance in the annual plan 2013-14. The facts given by Prem Kumar Dhumal Ex -Chief Minister are fully verified and totally correct. 1. Is this a fact that the Special Plan Assistance has been reduced to Rs 1350 Cr in Annual Plan 2013-14 from Rs 1400 Cr during 2012-13? This assistance was increased to Rs 1400 Cr from Rs 1000 Cr in 2011-12 which was an increase of Rs 400 Cr. 2. Is this a fact that the Additional Centeral Assistance (ACA for EAP,s) has been reduced from 491.28 Cr in 2012-13 to 451.49 Cr in the Annual Plan 2013-14? There is a cut of Rs 39.79 Cr. 3. Is this a fact that the ACA under AIBP has been reduced from 272 Cr in 2012-13 to 190.42 Cr in the Annual Plan 2013-14? There is a cut of Rs 81.58 Cr. 4. Is this a fact that the allocation under E-Governance and JNNURM has also been reduced in the Annual Plan 2013-14? 5. Is this a fact that the total ACA has been reduced to Rs 549.84 Cr in the Annual Plan 2013-14 from Rs 614.55 Cr during the Annual Plan 2012-13? The total cut in the Additional Central Assistance is Rs 64.71 Cr? 6. Is this a fact that the gross budgetary borrowing of the state has increased to Rs 5312.45 Cr in 2013-14 which was only 3949.31 Cr in 2012-13? The Gross borrowing of the state has increased by 1363.14 Cr during the congress rule. 7. Is this a fact that the state Govt will raise the loan of Rs 2448 Cr to fund the Annual Plan 2013-14 of Rs 4100 Cr? During 2012-13 the Govt raised a loan of Rs 2019 Cr to fund the Plan.